This is what Oleg Grabar wrote in his contribution to Vernoit’s volume, Discovering Islamic Art. Scholars, Collectors and Collections, 1850-1950 (I. B. Tauris, 2000). In his article “The Implications of Collecting Islamic Art” (Vernoit Discovering, pp. 194-200), Oleg Grabar gave some considerations on collecting of Islamic Art as a practice and he arose the issue of what he calls ‘the ethics of ownership’ which, according to Grabar ‘needs more reflection than it has received’ nowadays. In his paper Grabar raises two main criticisms against private collecting. This is a problem as the past perceptible and available in Muslim lands is not the same as the one represented in the collections. Any way, from another perspective, collecting also actually helped to save some artefacts that maybe could have been lost. In this regard, collecting cannot be seen a totally ‘bad’ as it sometimes serves a higher purpose: preservation of art. Inaccessibility, however, is a far bigger problem: the artefacts become ‘property’ of the collectors and their family, and they usually are no longer available to the public. There are instances in which objects seem to disappear, and other instances in which objects never exist, as far as we know. How many collections are scattered around the world? And how many objects in these collections have never appeared in publications, auction houses’ catalogues or other media? Are they valuable? Are they crap? We cannot know. And this is exactly the issue Oleg Grabar pointed out in his paper: “[…] for collecting is also a responsibility towards all those who, for whatever reason, cannot collect but have a sensory or intellectual concern for beauty and for history”. Collections can come to existence in different ways: someone with a passion and a lot of money goes from auction to auction, another one enjoys looting archaeological fields (which is illegal, and morally reprehensible, but it happens), some other while browsing the internet finds some ancient objects on eBay, and someone else just inherits a previously formed collection. But to my personal experience, even if a collection can be formed in hundreds ways, collectors can maybe be divided into two groups: the one that are concerned with the economic value of what they have and the one that are interested in the artistic/academic value. The groups can overlap, they are not hermetically divided, of course. But they are essentially two. A collection of art is of course different from the one of volcanic stones that you had when you were a junior woodchuck or the one of little wooden owls that you proudly display on your mantelpiece. It is not simply more beautiful, but it has an economic value, and every collector is well aware of it. Thus, what makes the difference between the two groups? Well, the stress that someone puts on the economic aspect, easy to say. Now, I can kind of understand that a collection is an asset but what I want to discuss here is what the economic-oriented attitude can imply. The difference between the two attitudes, I think, is highly visible when the collector faces one of the biggest problems a collection can have: forgery. Let’s say: you have a collection of medieval pottery. You are convinced that some vases you have come from the 8th century and that they are authentic. But you are not a specialist, then you hire someone to study them and possibly authenticate them. The scholar you hired says ‘sorry, they are possibly forgeries from the 18th century because of this, this and that’. What would it imply? Easy, the economic value of those vases drops: you don’t need to be a genius of the art market to know it. But what comes next is different. The non-economic-oriented collector would think that, first, if they are forgeries, it does not imply that every artefact in the collection is not authentic. The collection is not ruined as a whole. Now he/she knows that those one are not authentic, thus it is more reasonable to concentrate on studying other ones. Also, if he/she has a scholarly oriented attitude possibly he/she would also start reasoning on the forgeries as valuable, in some sense, to understand the art market of the period when they were produced, the tastes and the knowledge of the time. The knowledge? Of course. 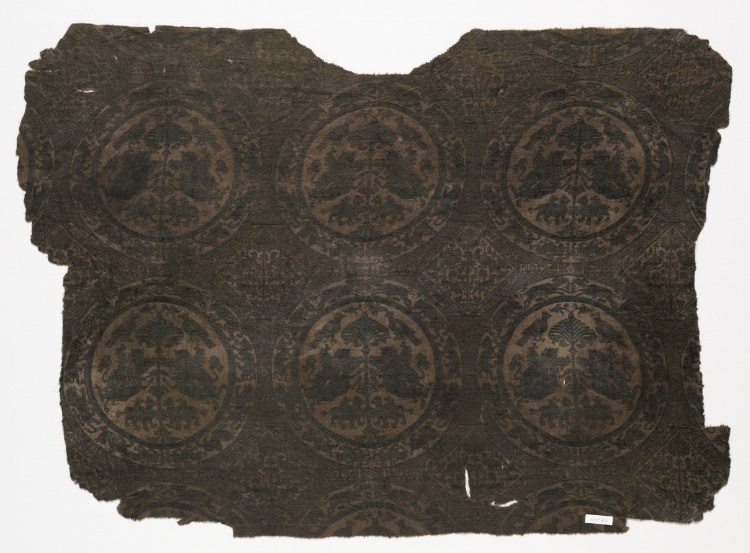 For instance, in the 1990s a group of textiles, believed to be Buyid, were discovered, through C14 testing, to be forgeries produced in two main periods: the 15th century and the 20th. 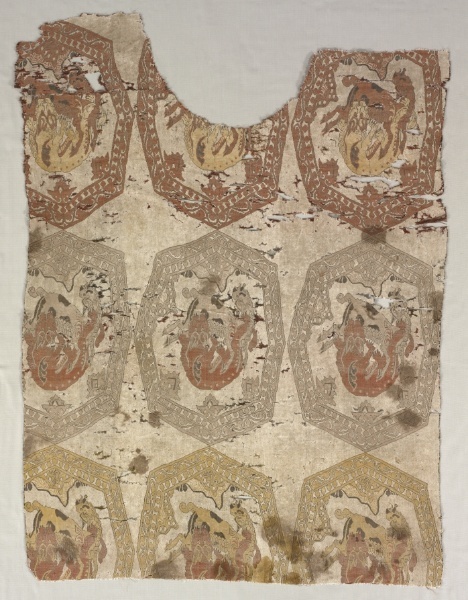 What was interesting is that the 15th century forgeries showed a ‘far more sophisticated knowledge of the style and epigraphy of textiles actually made in Iran in the medieval Islamic period’ than the one made in modern era. It’s an example, but it shows how forgeries are not always to be thrown away and totally despised: they can open new paths for research. The economic-oriented collector‘s reaction is of course another. The economic value of the collection drops: the ‘discovery’ actually affects the collection-asset. What to do? The most reasonable thing to do would be hiring a new scholar, and have a counter-dating. The risk is that also the new scholar reaches the same result, and this would lead to no good. The collector can of course think that the scientific method of the scholar is just not good enough…and as a scholar it is not pleasant, not at all! As a researcher I am particularly sensitive on the issue. As Indiana Jones fan I am for the ‘It belongs in a museum’-philosophy. What we face here is the ethics of ownership and how the collector’s attitude can impair the scientific process made of studies, theory and confutation. Dialogue in every aspect of life and (scientific/academic) work is essential. If the scholar cannot publicise his/her discovery, no one can eventually confute them and the scientific process is jeopardized. But the research is compromised even if all this forgery problem does not arise: when the artefacts in a collection are not displayed, published, in short available in a way or another to the public, they simply do not exist. And if an artefact cannot been studied, how can the knowledge develop? The artefacts in a collection can be said to be property of the collectors and their family? Why can people claim property on ancient artefacts? And how can be the collectors entitled to hold the artefacts and to keep them hidden from the eyes of the rest of the world? S. Vernoit (ed. ), Discovering Islamic Art. Scholars, Collectors and Collections, 1850-1950, I. B. Tauris, London-New York 2000.